Be the best in a maze universe. Rediscover and enjoy the world famous pop icon arcade mechanics in a new approach. 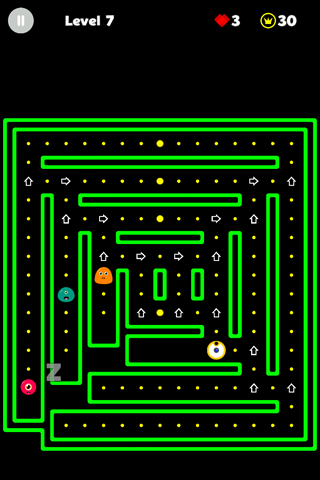 Still old school mechanics: maze, hero, enemies. Run Pathman, run and eat! But when you are adapting old “wasd” controls on mobiles that does not works well. So we are introducing new approach: Arrows! 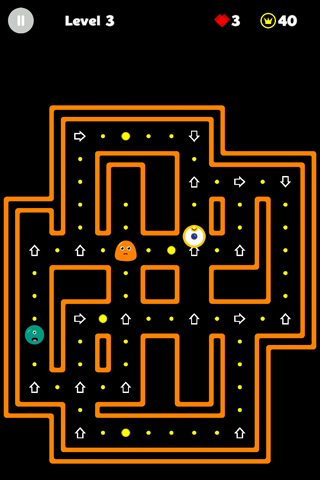 Click on arrows to set the path for the Pathman! No more control mistakes, just pure logic left. Also, since it is the age of multiprocessing we have some surprise on the upper levels. Left videogames behind for old guys and enjoy mobilegames. This is the trend now, occasionally. – Click arrows to control Pathman’s movement. 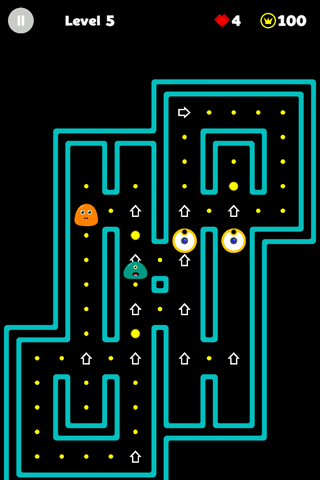 – Expanding mazes with several stages. – Earn gems, save lives. – Good old Pathman and Evil aliens. – Fruits and Vegetables. Even shrimps. No ninjas. – As it said: easy to learn, hard to master. – *Hidden* feature (reach 6th level at least).